One of the things which I believe should be on everyone’s “Bucket List”, if you can beg, borrow, or steal a way to pay for it is to take one of the few remaining Great Train trips in the US. If you are willing to go to Canada, there are still a number of unbelievable Trans-Canada, Rockies, and Northern excursions. 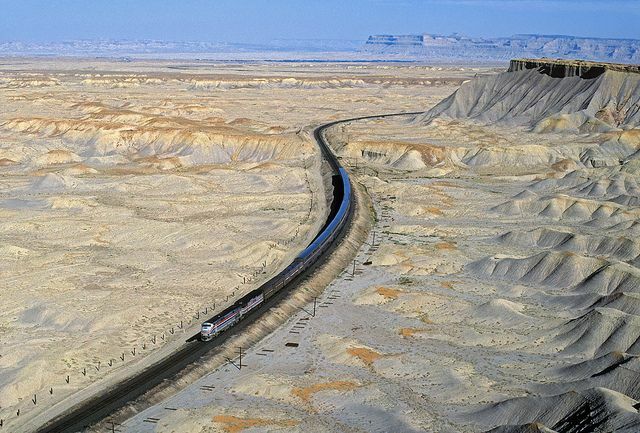 The last of the great trains in the US is the California Zephyr linking the Windy City and the west coast, the daily two-night California Zephyr is Amtrak’s longest route at 2,438 miles. It cuts right across the center of the US, traversing cornfields, cattle country and the Great Plains before climbing great S- and U-shaped curves to reach the Continental Divide inside the six-mile-long Moffat Tunnel at 9,239 feet above sea level and the highest point reached by an Amtrak train. You cross the Mississippi and Missouri rivers, follow the Colorado River for more than 200 miles, cross the Oregon Trail, touch the old Rock Island Line immortalized by Lead Belly and Johnny Cash and pass the wooden covered bridges featured in the film The Bridges of Madison County. As a train buff, I have done the Zephyr , the Sky Chief (LA to Chicago), The Crescent (NYC to New Orleans), The Great Northern, and the Empire Builder (Chicago to Seattle). Fun…fun…fun! Apparently the local Police (at least on the Zephyr) have taken to harassing the passengers and absconding with their money. Another traveler reports being harassed by police officers on the California Zephyr. Due to high costs and low ridership, Amtrak loses money on the California Zephyr, the passenger train that traverses a picturesque route from Chicago to the Bay Area. Its balance sheet would improve if more people could be persuaded to buy tickets for a “Superliner Roomette,” where there’s a picture window to watch passing scenery, two fold-down beds, and private space to get a good night’s sleep. But the few passengers who forgo a faster, cheaper flight, shelling out upwards of $800 in hopes of an unusually pleasant journey, are setting themselves up for unpleasantness: On the route, law-enforcement officers are prone to treating passengers who’ve done nothing wrong as suspects in the drug-trafficking business. This harassment has been going on for years. After publishing those stories, I received correspondence from other innocent people allegedly harassed by law enforcement on Amtrak trains, many on travel to California. And I’m sorry to report that despite my efforts to shed light on these abuses, and similar articles in other publications, I still receive new emails with the same old story. The latest comes from Evan Rinehart, an engineer who lives in New Orleans, Louisiana. He recently took an Amtrak to Chicago without incident, save for chilly temperatures and a passenger seated beside him in coach whom he found unpleasant. He decided to buy a private compartment for the rest of his journey west. On the last morning of his trip, he wrote, he was prematurely awoken from the good night’s sleep he purchased at a premium. A plain-clothes police officer was knocking at his door. All this when at most the search would uncover an amount of drugs so tiny it could fit in two small travel bags. How would that change the drug scene in the Bay Area? Most law-enforcement officials would consider this a non-incident: cops got consent for a search and found nothing at no cost beyond their time. In reality, these sorts of “nothing to see here” interactions unnerve people, spoil their journeys, and cause them to feel that they’ve been mistreated by their own government. The experience is only more galling when the public employees conducting the search adopt a hostile attitude, treating innocents like they are lying criminals. The person who searched Rinehart’s bag started to engage him about what he had packed. “At one point he remarked that I didn’t have enough clothes with me for the length of my vacation, however long he thought that was,” the passenger recalled. “This remark pissed me off, but at the time I continued treating these guys like normal people hoping they would leave. As the train was getting ready to leave he abruptly ended the conversation, thanked me for being patient and they left.” Rinehart has been seeking a refund from Amtrak without success, complaining that his treatment aboard the train was “less than first class,” though he paid $917. Prince William County has a deplorable racial history. It was the site of the longest running school desegregation effort in the country in the 60’s. They actually shut the public school system down for four years, building “Charter” Private Schools for the white kids so they didn’t have to integrate. More recently, they came up with the brilliant idea that illegal aliens shouldn’t be able to buy houses there and demanded to check everyone’s citizenship status. They yanked their real estate market for 6 years behind that one. Ryan Turk’s family says the 14-year-old was handcuffed, searched for drugs and suspended from school. A 14-year-old Virginia boy will face trial after he was charged with stealing a 65-cent milk carton from his school cafeteria ― despite being enrolled in the free-lunch program. Police arrested and charged Ryan Turk with two misdemeanors of disorderly conduct and petit larceny in May after a school resource officer claimed to have seen him “conceal” the drink at Graham Park Middle School, according to the Prince William County Police Department. The debacle ended with Turk being handcuffed, suspended and allegedly searched for drugs in the school principal’s office, his mother alleged in an interview with WTVR shortly after his arrest. The boy’s family has since accused the officer and school of unfairly targeting him because he’s African-American. They declined to handle his arrest non-judicially, police said, leading to a trial date being set for November, The Washington Post reports. The acting officer, who is with the Prince William County Police Department, reported seeing Turk take the beverage after cutting in his school’s lunch line on May 10, police said. Turk told WTVR after his arrest that he had forgotten to pick up the drink during his first pass through the line. 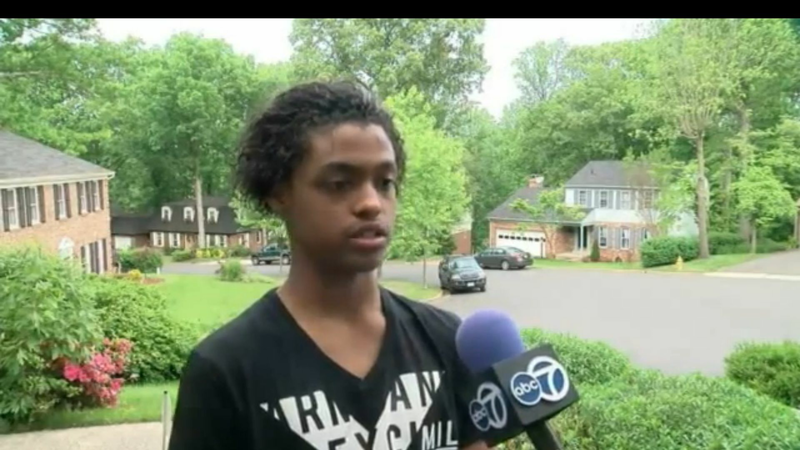 He put it back and explained himself after being the officer confronted him, the teen added. When he was ordered to go to the principal’s office, however, things apparently got hostile. Turk admitted that he did pull away from the officer and told him to get off of him. He said the officer grabbed his neck in response. The family’s attorney, Emmitt Robinson, argued that it was merely a case of someone not wanting to go along with someone who was being unfair. But he also alleges that Ryan was targeted and accused of stealing because of his race. The 14-year-old boy was enrolled in his school’s free lunch program, so he was entitled to the milk without paying, his family has said. She said that her family’s decision to go to trial is over wanting to set the record straight. “My son is not going to admit to something he did not do,” she told The Washington Post. A spokesman for Prince William Public Schools said in a statement Monday that it had no role in how the situation was handled, beyond academic discipline. Local authorities brought the legal charges and police action, he said. The school suspended Turk because his actions broke its code of conduct, school spokesman Philip B. Kavits wrote. “As every parent and student knows, principals must look at how a student behaved, and how that behavior affects both the student and others at the school. Following that determination, principals act in the best interest of all concerned,” he added. Addressing allegations of racism, Kavits noted that both the school’s principal and the police officer that handled his arrest are African-American. “These individuals are well known in our highly diverse community for their dedication and caring approach to ALL students,” he wrote. Requests for comment from Robinson and Shamise Turk were not immediately returned. Trump Uses Charity Money to Buy Himself Goodies! Presumptive GOP presidential nominee Donald Trump — already under attack for using charity money for lavish galas and not to help those in need — may have run afoul of IRS rules by buying himself a Tim Tebow-autographed helmet at an auction by using money from his Trump Foundation. According to the Washington Post, the New York businessman placed a $12,000 bid at a charity auction in Palm Beach four years ago that won him the Denver Broncos helmet personally signed by the former quarterback. But when the time came to pay for helmet, auctioned off by the breast-cancer nonprofit Susan G. Komen organization, Trump sent a check drawn on his own non-profit, The Donald J. Trump Foundation. According to the Komen Foundation, it was the only contribution they have ever received from Trump. Trump auction’s win was heralded in the Palm Beach Post, which noted, “The Donald giveth, and The Donald payeth,” although that proved to not be entirely true. According to experts in non-profit law, Trump could be in violation of IRS laws involving “self-dealing,” if he kept the helmet for himself. “That would be a classic violation of the prohibition on a charity being operated for the private inurement (benefit) of the charity’s creator,” explained Brett G. Kappel, an expert on tax-exempt organizations. According to the Post, the Trump Foundation does not appear to have offices of its own and is headquartered at Trump’s business offices in New York. The sleazebag Chumph has stiffed literally thousands of small businesses and blue collar workers out of their well earned pay. Indeed in one case, the Chumph was ordered to pay $32,000 to a painter at his Doral Gold Resort, or have it foreclosed and sold to pay debts! No wonder the PGA moved their tournament from there to Mexico! What Trump is doing, is legal blackmail. And it is legal under the corrupt US Legal System. It works like this – big, wealthy company refuses to pay subcontractor (or any other excuse) $200,000. Big company sues – or waits fro small company to sue to get it’s money. Small company cannot afford to pay lawyers to defend itself, a legal cost which can easily go north of $100,000 for a simple suit. Small company goes bankrupt, or is forced to settle at a loss. Big company (Chumph) can afford to keep full time layers on staff, and only spends $50,000 basically stealing $150,000 in profit, knowing full well little guy can’t afford a reasonable defense in court. That is what the 3,500 Chump lawsuits are all about. It is using an effed-up legal system, set up to massively favor the rich, to screw the middle class small businessman and poor. 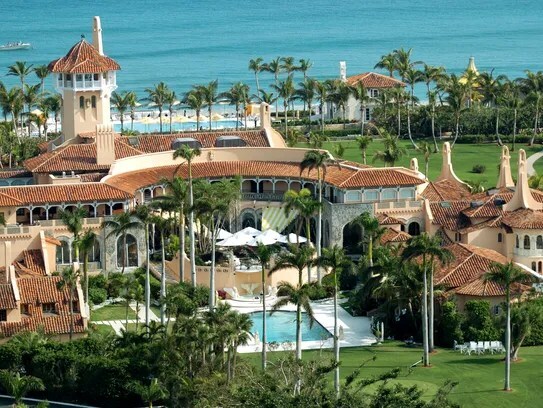 The Trump Dump in Florida – Just last month, Trump Miami Resort Management LLC settled with 48 servers at his Miami golf resort over failing to pay overtime for a special event. The settlements averaged about $800 for each worker and as high as $3,000 for one, according to court records. Some workers put in 20-hour days over the 10-day Passover event at Trump National Doral Miami, the lawsuit contends. Trump’s team initially argued a contractor hired the workers, and he wasn’t responsible, and counter-sued the contractor demanding payment. Donald Trump casts himself as a protector of workers and jobs, but a USA TODAY NETWORK investigation found hundreds of people – carpenters, dishwashers, painters, even his own lawyers – who say he didn’t pay them for their work. During the Atlantic City casino boom in the 1980s, Philadelphia cabinet-builder Edward Friel Jr. landed a $400,000 contract to build the bases for slot machines, registration desks, bars and other cabinets at Harrah’s at Trump Plaza. The family cabinetry business, founded in the 1940s by Edward’s father, finished its work in 1984 and submitted its final bill to the general contractor for the Trump Organization, the resort’s builder. Edward’s son, Paul, who was the firm’s accountant, still remembers the amount of that bill more than 30 years later: $83,600. The reason: the money never came. “That began the demise of the Edward J. Friel Company… which has been around since my grandfather,” he said. Donald Trump often portrays himself as a savior of the working class who will “protect your job.” But a USA TODAY NETWORK analysis found he has been involved in more than 3,500 lawsuits over the past three decades — and a large number of those involve ordinary Americans, like the Friels, who say Trump or his companies have refused to pay them. At least 60 lawsuits, along with hundreds of liens, judgments, and other government filings reviewed by the USA TODAY NETWORK, document people who have accused Trump and his businesses of failing to pay them for their work. Among them: a dishwasher in Florida. A glass company in New Jersey. A carpet company. A plumber. Painters. Forty-eight waiters. Dozens of bartenders and other hourly workers at his resorts and clubs, coast to coast. Real estate brokers who sold his properties. And, ironically, several law firms that once represented him in these suits and others. Trump’s companies have also been cited for 24 violations of the Fair Labor Standards Act since 2005 for failing to pay overtime or minimum wage, according toU.S. Department of Labor data. That includes 21 citations against the defunct Trump Plaza in Atlantic City and three against the also out-of-business Trump Mortgage LLC in New York. Both cases were resolved by the companies agreeing to pay back wages. Obama Hating Trumpazoid…Busted for Welfare Fraud! What goes round, comes round…When the Teabag hits the fan! A Diner owner in New York who became locally famous for trashing President Obama on his menus has pleaded guilty to, of all things, welfare fraud.Syracuse.com reports that Michael P. Tassone was sentenced last month to a one year conditional discharge after pleading guilty to defrauding the government out of more than $23,000 in welfare payments. Tassone was featured on Fox News earlier this year because his diner’s menu featured items such as the “Dictator Obama/NYS Special (King Cuomo),” which is a plate of eggs and toast that costs $3.59, plus an exorbitant “tax” of $27.99. Other menu items include the “The Anti-Michelle Obama Don’t Tell Me What To Eat Or Feed My Kids Burger,” and the restaurant itself is adorned with Tea Party “Don’t Tread On Me” flags. The menu also encourages patrons to lawfully carry weapons while in the diner. It seems Tassone didn’t hate the government enough to not fraudulently try to acquire Medicare benefits, however, and he actually had a more serious felony welfare fraud charge dropped against him in exchange for his misdemeanor plea. Oooooookay! I have no idea – other than it has to be heavy – how much a $50,000 bag of quarters weighs…But you have to believe this guy wasn’t going o make a fast getaway! I mean…What are you going to do with that? Pay every parking meter in NYC for 3 years? Take your date out to dinner, excuse yourself after the check comes to go to the car to get a $100 bag to dump on the table? A quarter weighs 5.670 Grams. $50,000 is 200,000 quarters which would be 1,134,000 Grams or 1,134 Kilograms, which would be around 232 lbs – say 250 lbs with the bag. A former security worker for Brink’s Company has been accused of stealing $196,000 while on the job — all of it in quarters. Stephen Dennis was charged on Monday with one count of bank theft by the U.S. Attorney’s Office. Dennis, 49, was working as a money processing manager for Brink’s at its Birmingham branch in early 2014, when the robberies took place, according to a Justice Department press release. 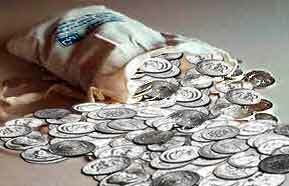 His job gave him access to the Federal Reserve Coin Inventory. The coins he is accused of stealing were stored in ballistic bags, each containing $50,000 and place on skids inside Brink’s Coin Room. Dennis’ last day on the job was Feb. 20, 2014. An April 2014 audit of the Federal Reserve Coin Inventory discovered four ballistic bags containing a large amount of beads and just $1,000 in quarters, placed so they were visible the neck of each bag. A subsequent investigation revealed that on Sunday, Feb. 16, 2014, Dennis came to Brink’s on his day off and collected four empty skids and four empty ballistic bags, which he filled with beads. The skids and the bead-filled bags were placed back inside the coin room. The money that Brink’s was holding belonged to the Federal Reserve Bank of Atlanta and the company refunded the missing coins to the bank. The U.S. Attorney’s Office said Dennis has agreed to plead guilty to the charge and to repay his former employers. Dennis also faces up to 10 years in prison and an additional $250,000 fine. Posted by btx3 on March 9, 2016 in Nawwwwww!